Uni isn't all about studying. And for a lot of musically inclined students, putting a band together is high on the list of priorities. London quartet Islander comprise of students from three different universities, including two of my former places of study. (Although I guess I can't take all the credit, right?) The band's affecting tone is evocative of Bon Iver. The band came together having been part of various different projects but also at least one previous guise. Perhaps most notably, frontman Hugh Gavin formerly put out solo material as Hughie Gavin, part of the burgeoning Communion Records stable. 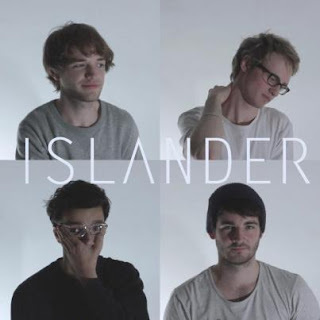 Pleasingly, Islander looks set to be the high point of the respective members' careers. Built around the powerful vocals, the band deliver potent pop melodrama - as on the majestic 'Jackal'. There's a touch of the James Blakes (but with less of the ostentation) about Islander, with newest track 'Wait' arguably being the best example of this. Another track 'I'm Your Man' seems slightly set apart from the other tracks, with tinges of Vampire Weekend seeping through. Regardless of direction, we're eagerly awaiting new material from Islander. Find more info at facebook.com/Islander.